How Vivid PSD Template works? 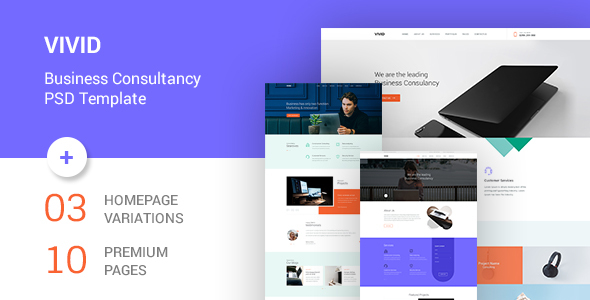 Vivid is PSD Template for multi-purpose business and corporate websites. It’s not just PSD, its a new look of soft and clean professionalism for the business, corporate, agency and other creative industries. These designs combine creativity with simplicity on each page. PSD template is suitable for all type of business website. Total 13 PSD Files (until now).